The availability of energy at a reasonable price level has been a prerequisite for industrial development in our region. Energy supply in central Sweden is still very good but the proximity of energy production is less advantageous as the price of electricity is determined on the European market. Today, the competitive advantage is more related to the knowledge and innovation capacity of the region which provides new and more optimal ways to use natural resources such as raw material and energy. EnergyWise is a research project that address renewable energy and efficient energy usage. The project targets a number of energy related research topics of relevance for regional industry. The research include measurement technology for optimization of energy production using wind mills and solar cells, temporary storage of energy, optimization of the energy consumption in some selected industrial processes, gasification of biomaterial for use in fuel cells, efficient power conversion in for example energy storage facilities or electric vehicles. An increased usage of renewable energy will demand a more intelligent distribution network that utilizes a communication infrastructure that makes the energy grid smart. In this smart grid vision both energy supply hardware and energy consumption hardware communicates with each other in order to optimize both usage and production. Research and development related to embedded sensor system utilizing robust communication strategies are essential in the evolution towards a smart grid. Such information system could also provide completely new service concepts and billing strategies that may significantly change the culture of energy usage in our society. 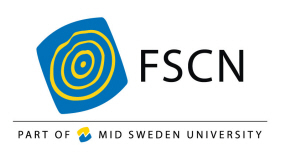 The project is a collaboration between the two research areas: STC and FSCN at Mid Sweden University and the project will run until 2014.